I am really puzzled! In the last two years I’ve changed countless of beliefs and this process seams like a non stop journey. But … it is a non stop thing and I learn on a daily basis how to handle it. You see, at the early stages the children are taught that day dreaming is a bad thing and unfortunately many of them through the years simply loose the benefits of using at the full potential their imagination. The imagination is limitless. In your mind you can be anything you want, can do absolutely what you want and the only limits are the one which you set for yourself. Of course, you can use your imagination for good or bad purposes, this is absolutely your choice. Imagination, aka day dreaming combined with visualization is intensively used by high achievers, top producers and successful people from all walks of life and it is proven to help changing the world around you the way you want. The sports superstars are taught to visualize their victories, imagine how they will feel, and what will do after succeeding instead of being worried about the outcome. I am a dreamer, and I remember that back in the days I even had some troubles in school due to the fact that I was this way. But, instead of killing my dreams and leave only the night ones to be part opf my life I took the decision to follow my dreams, strive to make them a reality and also show others how to do it in the process. I’ve also found out that following our dreams makes us fulfill our life purpose and this is the most important thing we can do during our existence on Earth. 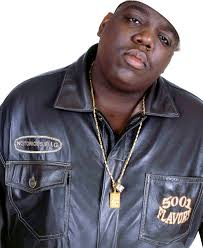 And the reality is that if we fail to leave our own mark on this planet people will forget about us as average in 30 days after we will pass away.This morning I woke up with the urge to listen to Notorious B.I.G. – Greatest Hits, being grateful to be alive and contemplating the remaining works of this hip hop legend. Yesterday evening I recalled the life achievements of Iuri Gagarin (the first human being to travel to space) and Jacques Cousteau, through a book I just found visiting a good friend and business partner. So Daydreaming is not only good, is a gift we have to keep, nurture and develop. Namaste!